This model is the Corgi 208-A-1 Jaguar 2.4 Litre in white. It has no opening parts. The exterior is painted white with the grille, headlights, and bumpers picked out in silver. 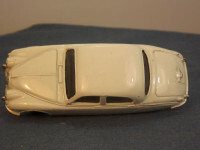 The bumpers and all other features are cast into the body. This version is the early issue without suspension. 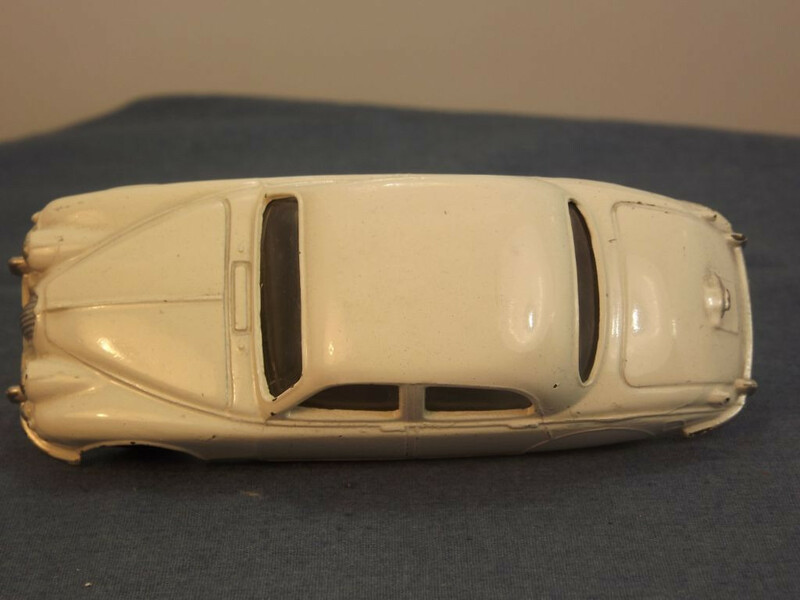 There is no interior on this early model. 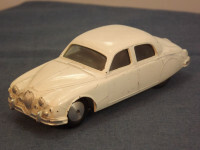 The glazing is clear plastic. All wheels have smooth silver hubs with separate black rubber tyres. 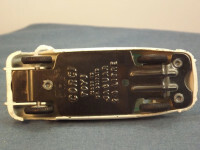 The base plate is tinplate metal and is marked in the centre with "Corgi, Toys, Made in, GT Britain, Jaguar, 2.4 Litre" on six lines. 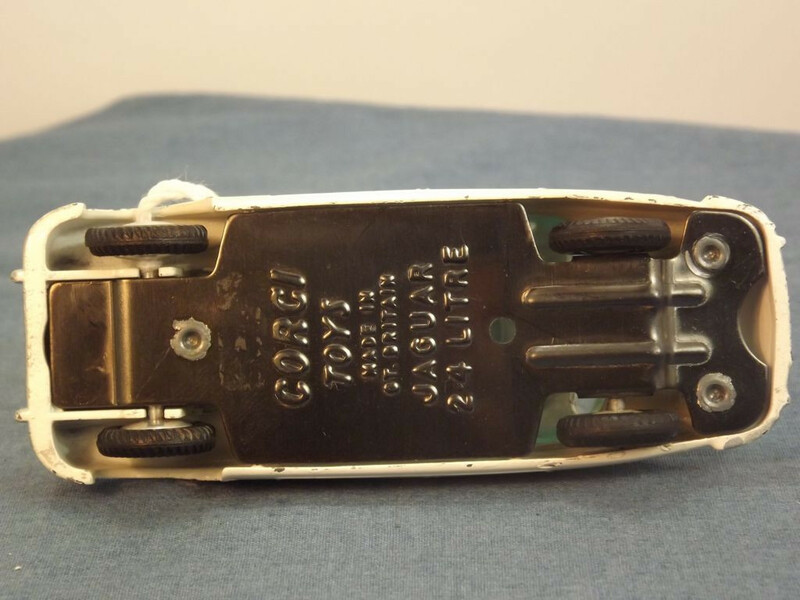 It is held in place with three machined rivets. 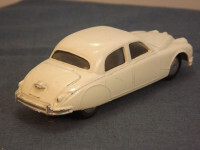 This model was issued between March 1957 and 1959.